How much do you really know about how the human body works and how it reacts to food, exercise, nutrition, and the environment? While most people have read about at least one fad diet, they're left wondering about the greater biochemistry, psychology, sociology, and physiology of the obesity crisis in the United States. 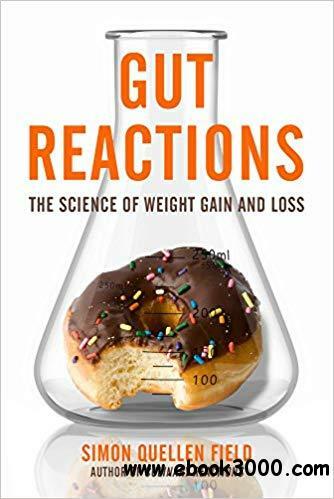 Gut Reactions by chemist Simon Quellen Field shows readers how their bodies react to food and the environment and how their brains affect what and how much they eat. It reveals why some diets work for some people but not for others, based on genetics, previous weight history, brain chemistry, environmental cues, and social pressures. It explores how dozens of hormones affect hunger and satiety and interact with the brain and the gut to regulate feeding behavior. And it explains the addictive nature of foods that interact with the same dopamine and opioid receptors in the brain as cocaine, heroin, amphetamines, and nicotine. Whether you're looking to lose weight, put on muscle mass, or simply understand how your metabolism or gut microbiome impact your food cravings, Simon Quellen Field has the scientific answers for you.